Fountain Rock Nature Center in Walkersville is one of our favorite places to take our boys and has been since we discovered it so many years ago. The park offers a fishing pond, playground, historic lime kilns, a quarry pond stocked with fish and turtles. Our favorite part of Fountain Rock is the nature center. 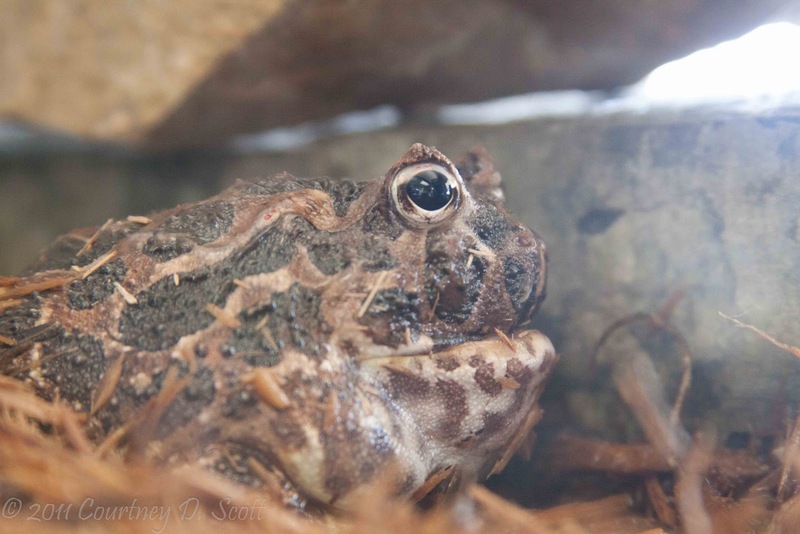 The center is home to many rescued and adopted snakes, turtles, insects and amphibians. We have come to love Toby the turtle and Maizie the corn snake who live there. And we also tolerate like the Madagascar hissing cockroaches and tarantulas that live there too. The nature center receives support from the non-profit group, Fountain Rock Nature Council. 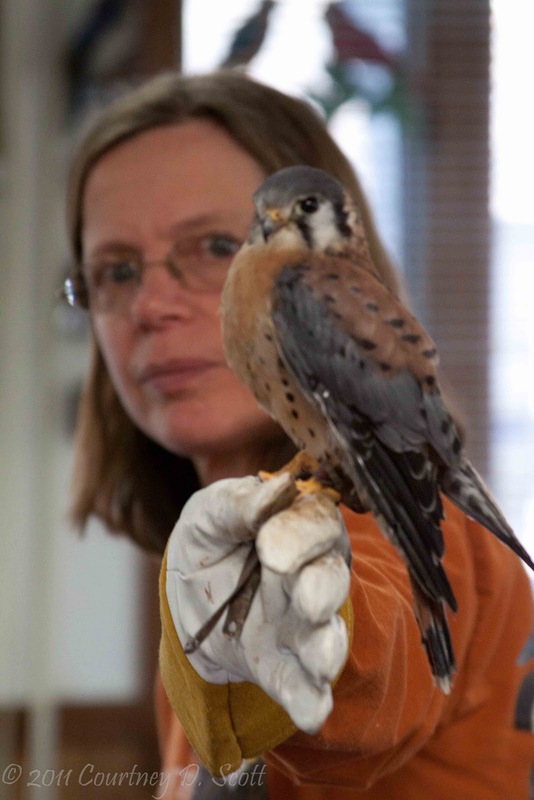 The council organizes free monthly educational programs like the one we went to Sunday, "Raptor Rehabilitation". 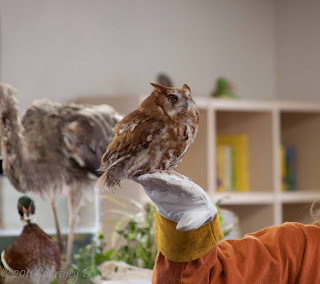 We were introduced to a blind screech owl named Rootin Tootin. He lives with the raptor rehabilitator because a blind owl in the wild is no longer a bird of prey but merely prey. And forgive me but apparently I wasn't listening when this little guy was introduced so I don't know what specific type of raptor he is or what his name is. I bet my boys know but they are asleep right now so I can't get confirmation. In case you are wondering, I was listening when the raptor rehabilitator defined raptor for us. Raptors are birds of prey, specifically eagles, hawks and falcons. This part of Maryland has a large population of birds of prey and other birds which might be prey. That is one thing that we love about this area. Moving here from metro Atlanta, we were not accustomed to seeing many birds other than pigeons. The birds here are much better than pigeons. 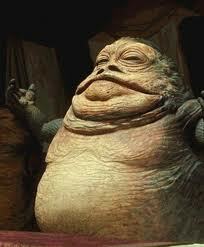 But I do believe he was the inspiration for the Jabba the Hutt. 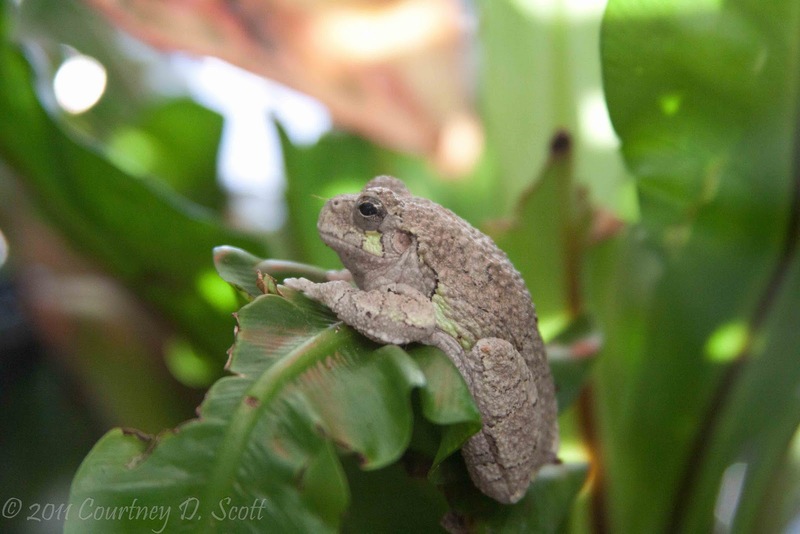 This little tree frog is too cute and not much bigger than my thumb. 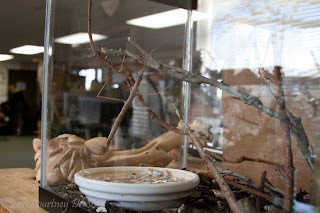 There are creatures at the nature center which are definitely not cute but downright creepy. I saw this and thought the nature center was now offering food in the form of this strange Asian salad. 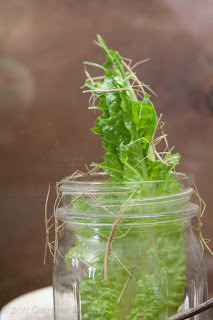 But found out that this is actually Walking Stick insect nymphs and that is their salad. Nymph sounds like a nice word, like fairy or sprite. But these nymphs grow up to look like this. It's hard to tell which is the stick and which is the Adult Walking Stick Insect. Not so nice. But I was just happy they didn't have new display of bed bugs. Maybe that's in the works. I bet your boys love that place! Very cool!